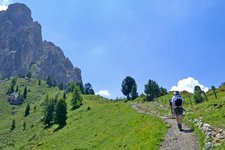 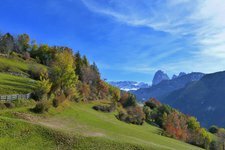 Mountain huts, mountain rives, larch forests - hiking in the Dolomites of the Val Gardena is an experience in every season. 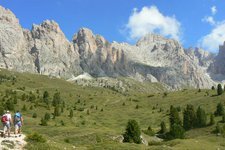 Live webcam View towards the Sassolungo and the Sasso Piatto. 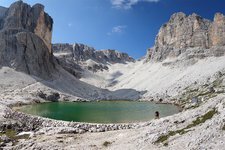 Live webcam View on Sassolungo and Sassopiatto. 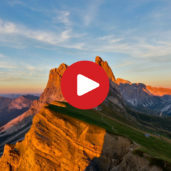 An amazing sunrise and a 360-degree panorama await us on the Mount Seceda in the Odle Group, on the ridge between the Gardena and Funes valleys. 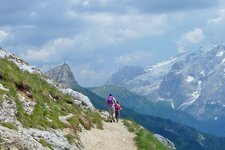 An ascent that was rewarded with a breath-taking view: we went to the Cima Cir. 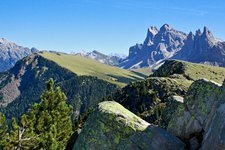 The Grande e Piccola Cir Mountain Range is part of the Puez Mountain Group and situated north of the Passo Gardena pass. 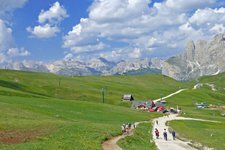 The famous and impressive view from the Seceda to the peaks of the Odle and the Puez mountain group in the particular mood of the sunset. 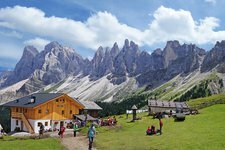 From S. Cristina the Col Raiser cable car brings us to the fascinating alpine world of the Val Gardena Dolomites. 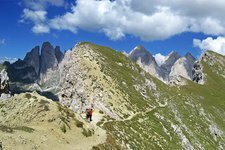 Hiking guide Diego takes us on a family hike below the peaks of the Odle group. 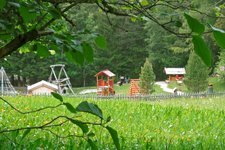 We feel the power of the area and experience wonderful silence between alpine meadows and imposing mountains; a journey of exploration for the whole family. 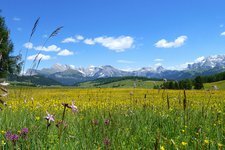 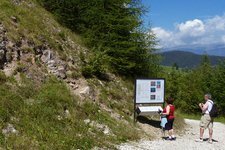 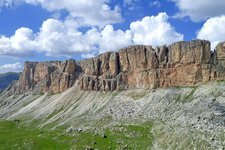 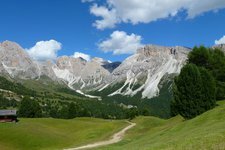 Easy walks along the former railway line or on the Geotrail of Bulla alternate with mountain tours such us the ascent of Mt Sass Rigais, the tour of the Fermeda Pinnacles or round Mt Sassolungo and Mt Sasso Piatto. 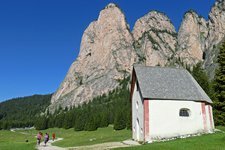 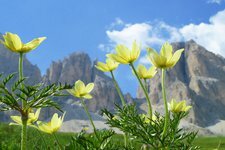 The Val Gardena in the UNESCO World Heritage Site of the Dolomites and in the Puez-Odle Nature Park ist a true paradise for hikers and climbers alike. 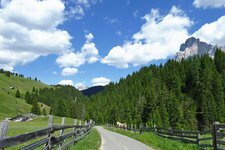 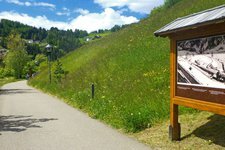 The Anna valley near Ortisei in the Val Gardena is a very popular family destination. 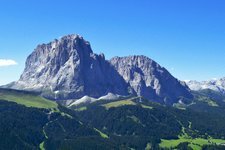 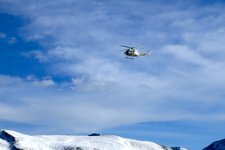 The Val Gardena Mountain Rescue Service closely cooperates with the Aiut Alpin Dolomites.